We talk a lot about where attractions are located within the parks, but this time we talk about where you should sit while you’re viewing an attraction. Which seat is best on Expedition Everest, the front or back? Listen in this week and find out! Disney has three nighttime shows in its regular rotation. Wishes at Magic Kingdom, Illumination at Epcot, and Fantasmic! at Hollywood Studios. On my most recent vacation I watched each of them and in true Disney fashion they are all fantastic. 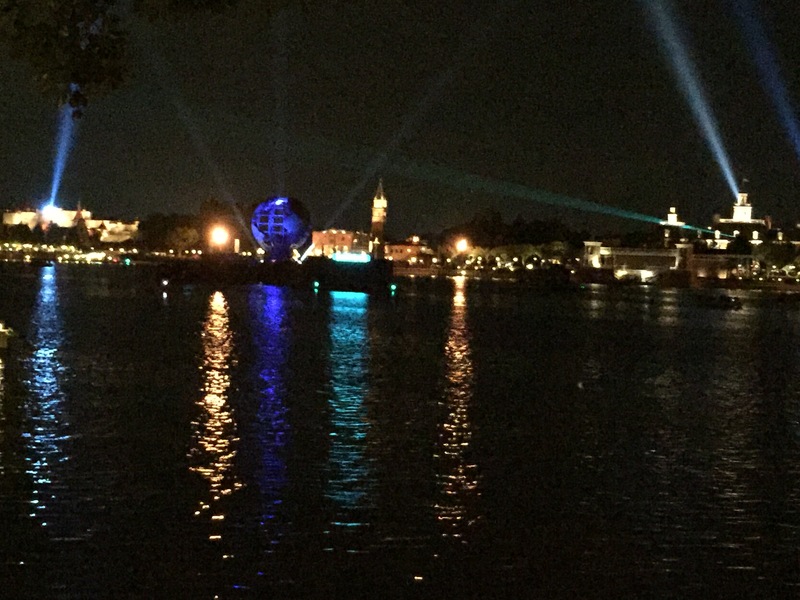 Illuminations is the story of Earth displayed around the World Showcase Lagoon. It starts with Earth’s fiery beginnings, then moves to the history of humanity showing projections on a spinning Earth. Lastly is the hope for future that ends in fireworks. The entire show is accompanied by awesome music and the pavilions light up all around. If you have never seen Illuminations I would highly suggest you make the time for it. World Showcase it beautiful to stroll at night and there are plenty of spots to view all around! You can get wet at this show as the water does splash up in some areas. If you don’t want to be wet make sure you don’t sit in the lower 1/3 of the theatre. If there is a second show you should try to make that one since it will be a lot less crowded, you can have your choice of seats no matter when you arrive. Wishes Nighttime Spectacular is probably the most well-known and popular nighttime show. 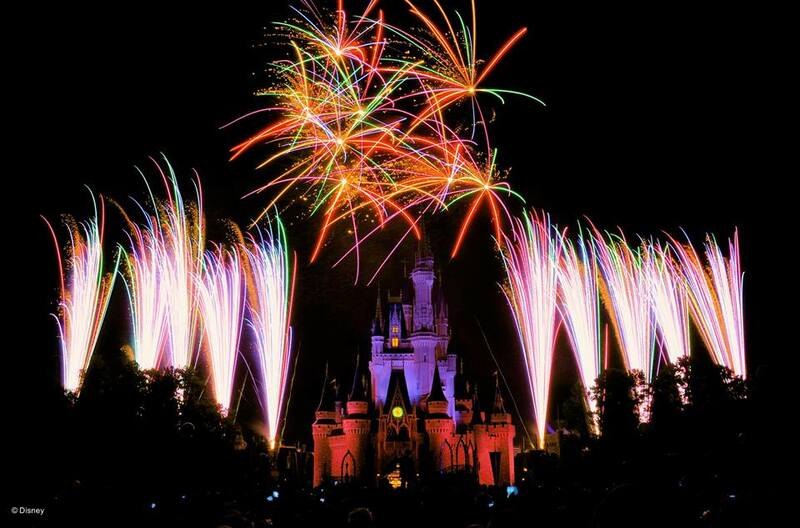 It is narrated by Jiminy Cricket with music, projections on the castle, lighting effects, and fireworks. If the weather is right you can see Tinker Bell fly from the castle overhead! You will love to ooh and ahh over the show and I promise the soundtrack will be stuck in your head when you leave. However there is a reason it is so popular it is not to be missed, it is a classic! If I had to rate them I would say Wishes, Fantasmic! and Illuminations in that order. I think adults will enjoy Illuminations more so than kids but it is absolutely enjoyable for everyone. If you only had the time to do one I would have to say make sure it is Wishes. Do you have a favorite? Let us know below! Join us this week as we discuss all the nighttime shows offered at Walt Disney World! We chat all about Wishes, IllumiNations, Fantasmic, and even the new Rivers of Light. Find out which we love and which ones make us cry. Don’t miss it! Arrive early, at least 30 minutes. As with Epcot sometimes the park will open early so if you are there early you will be one of the first ones in the gates! Of course you can always make a reservation for Hollywood and Vine for a pre-park opening breakfast. Go right! If you want to check out the headliners most of them are to the right side of the park. 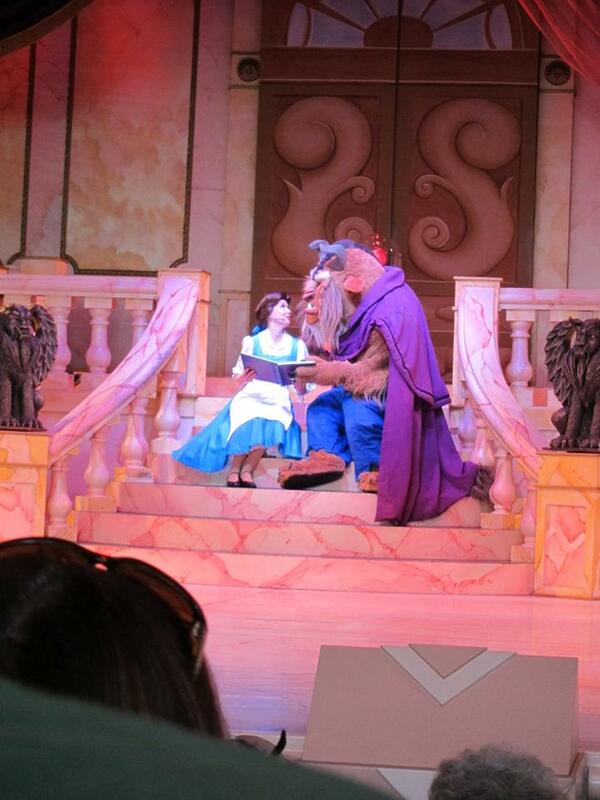 In Disney Jr Live on Stage don’t sit in the front. The view is not going to be great but if you sit towards the middle/back then you will have a much better view of the show. If you plan to sign your child or children up for Jedi Training Academy this will be one of the first stops you want to make. You will get a show time and make sure to show up with plenty of time to spare. Get the Fantasmic! Dinner Package. This costs nothing extra. You can use your dining plan credits and get reserved seating and save your FastPass+ for something else. Plus the seating for Fantasmic! is in a really great spot! Check out The Magic of Disney Animation, you can meet characters, take an animation class and see some really neat Disney memorabilia. 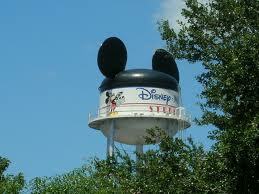 Make a plan, this is important for Hollywood Studios if you want to see more than two shows. In a park that is show heavy you have to make sure you are in the correct place at the time the shows start or you will be waiting a while for the next one. Meet characters! This is a great park for hard to find characters like the Disney Junior gang or Phineas and Ferb. 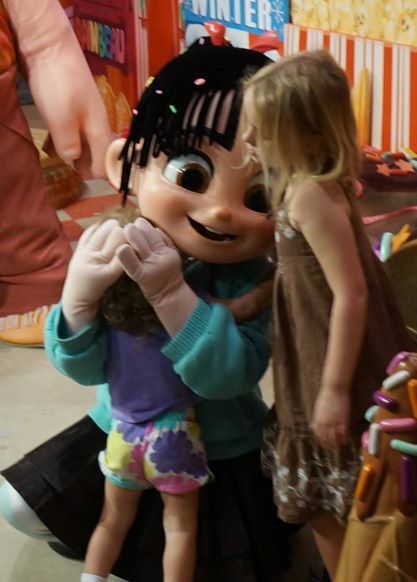 It is usually home to the newest characters, previous to Hiro and Baymax from Big Hero 6 there was Wreck it Ralph and Vanellope so always check for new character meets! Try a cupcake! Hollywood Studios always seems to have always changing cupcakes with some great standbys too. Well worth a snack credit! See fireworks. If there are fireworks going on at Hollywood Studios do not miss them! They are by far the best of all the parks. Plus it will be less crowded than the Magic Kingdom. Have a missed a great tip? Share it here I would love to add it to my list! Whenever we go to Disneyland I always like to take advantage of the Dining Package options for shows like World of Color or Fantasmic. Here’s the reason I do it. I want to see a show and I have to eat so why not combine them and make it easier on myself? Selecting the Dining Package for a show or entertainment eliminates additional wait time to get a FASTPASS to see the show all while enjoying a relaxing meal. We usually plan at least one nicer sit down meal on our trips and I always coordinate this with a show. On a trip to Disneyland last year, when it was just myself and my daughter, instead of our entire family of five, we splurged and got the Dining Package option for Fantasmic. It included assigned seating to view the show and a dessert box. It was FANTASTIC. This box of goodies did not disappoint. It was filled with different cheeses, grapes, crackers, and wide variety of desserts. Desserts were a mini cheesecake, lemon tart, chocolate lava cake, a jelly filled cookie with chocolate on the bottom (that was by far my favorite), a couple of macaroons and shortbread. A drink of your choice (water, milk, pop or hot chocolate) was also part of the deal. We were able to sit and eat all this while watching the show. Doing some research for our next trip I found that Disneyland changed their dining options with Fantasmic. Initially, I was sad and disappointed (I’ve been dreaming of that cookie since that last trip!!) until I saw the new options. While they no longer have assigned seating, they increased their Dining Package options to include a sit down dinner meal, a meal on the go, or a desert option. Selecting any of these options will get you a FASTPASS (without having to wait in line) to a reserved viewing area. For the sit down restaurants, you can select the Blue Bayou or the River Belle Terrace. It’s a three course meal that includes a starter, entrée and dessert, with a set price for both adults and children. The Blue Bayou is a great restaurant, it’s actually located in the Pirates of the Caribbean ride which gives it a fun ambiance. It’s a little more “formal” than the River Belle Terrace. Last time our family ate there the meal was awesome. It was enjoyed by the whole family which is sometimes quite a feat with a couple picky eaters. River Belle Terrace is a little more casual and also provides a yummy menu as well. Our family has also enjoyed dinner at River Belle Terrace, their roast beef is phenomenal! If you’re short on time or don’t prefer a sit down meal, you can still take advantage of getting the reserved viewing FASTPASS, by reserving a Grab & Go meal from Aladdin’s Oasis. You’ll reserve your Grab & Go meal and then pick it up at your reserved time. You can eat it when you’re ready! There are a limited amount of these meals so book your reservation online or by calling before your trip! The last option, which is probably going to be my favorite, because well it’s dessert, (and boy does Disney know how to do dessert) is a sampler of sweets and a choice of drink. You’ll pick up this yummy goodness from the Honey Bear Restaurant, which is over by Splash Mountain and is pretty close to the Fantasmic viewing area. 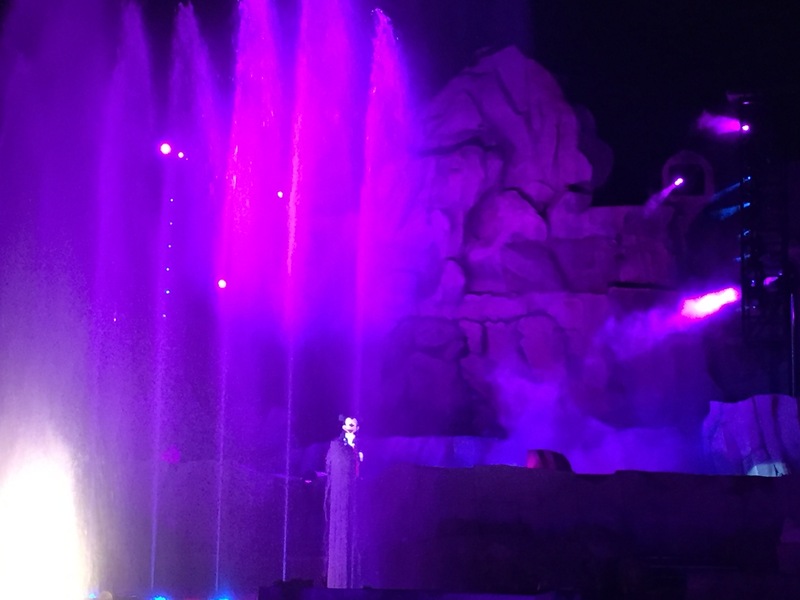 The Fantasmic show itself is pretty cool. It includes a bunch of different things going on from live action, animatronics, lights, fireworks and lasers. It’s pretty cool in that it’s Mickey’s dream and it includes many different characters from all across the Disney spectrum. It’s on the water and Tom Sawyer’s Island. The water adds a lot of visual entertainment as you catch the reflections of things in the water as well as the images being displayed both in and on the water. If you haven’t seen it, you need to experience it at least once, and why not take advantage of the Dining options at the same time! Make sure you check the schedule for the viewing times. Podcast: Episode 7, Cast Member Chris! A very special episode of the Dole Whipped podcast today, we have our very first guest! Former college program Cast Member Christ joins Shannon, Tara, Jillian and Jamie to discuss his time in the program and share some of his favorite things. Happy Listening! In our latest podcast, the Dole Whipped ladies discuss all the fun you can have at Disney World after the sun goes down! From the classics like Main Street Electrical Parade to Epcot’s new After Hours Wind Down event, we cover it all.